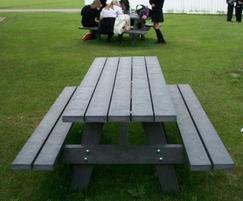 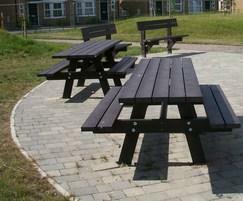 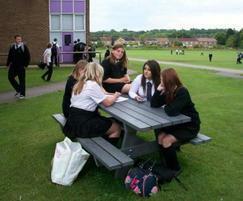 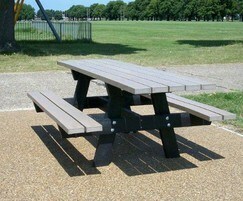 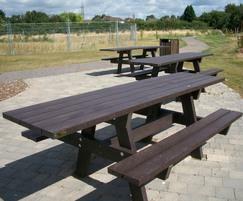 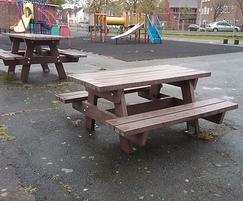 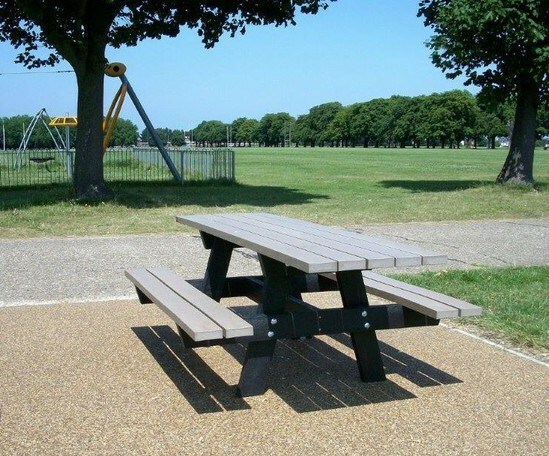 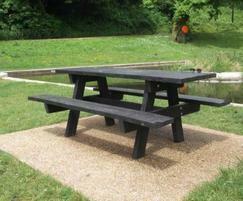 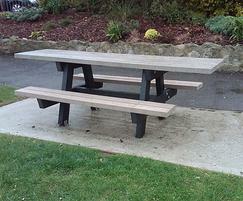 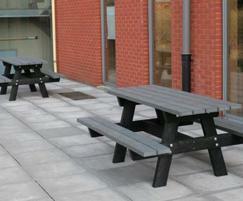 Ths Oslo picnic table is designed for use in parks and open spaces. 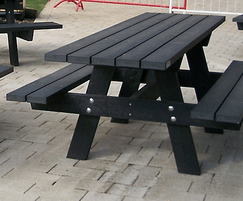 It is constructed from solid recycled plastic profiles, reinforced underneath with a countersunk galvanised steel profile. 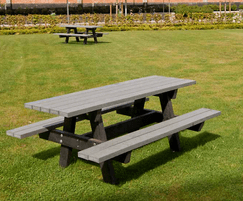 Requiring virtually no maintenance, the Oslo will not splinter or rot, therefore providing the ideal, hard-wearing seating required in busy public environments. 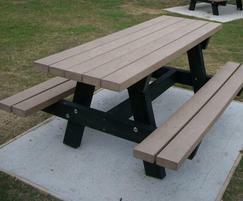 Colours: brown, black, green, grey, beige.